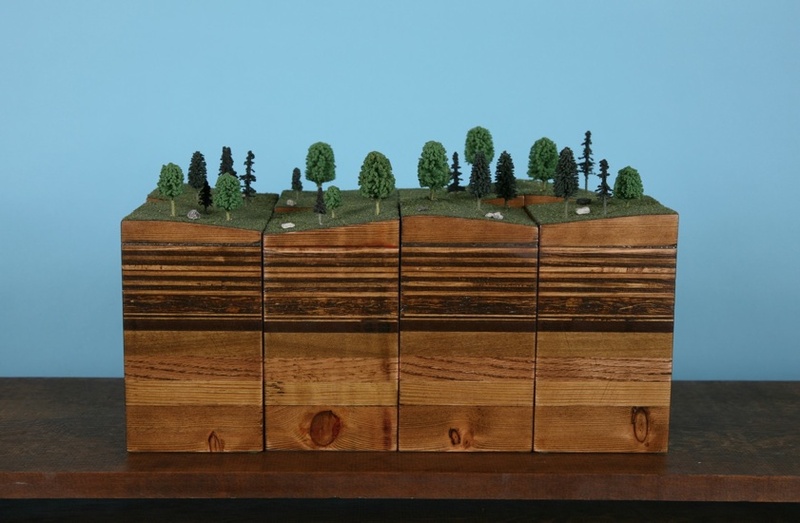 In these sculptural pieces, layers of wood and the growth rings within symbolize the sedimentary layers of the Earth. 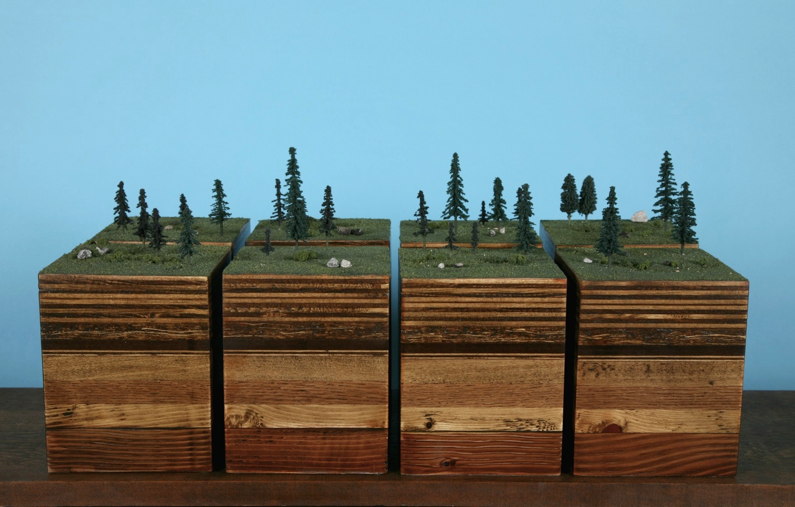 They compare the patterns of microcosms and macrocosms, exploring the similarities the patterns on small and large scales. 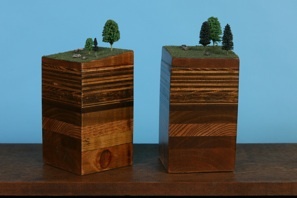 In both instances these patterns represent the passage of time on either a relatively short span or a massive one. 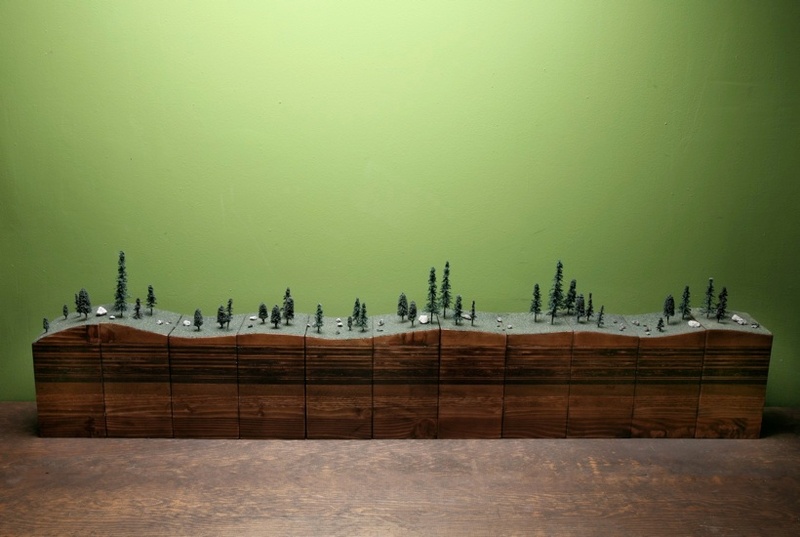 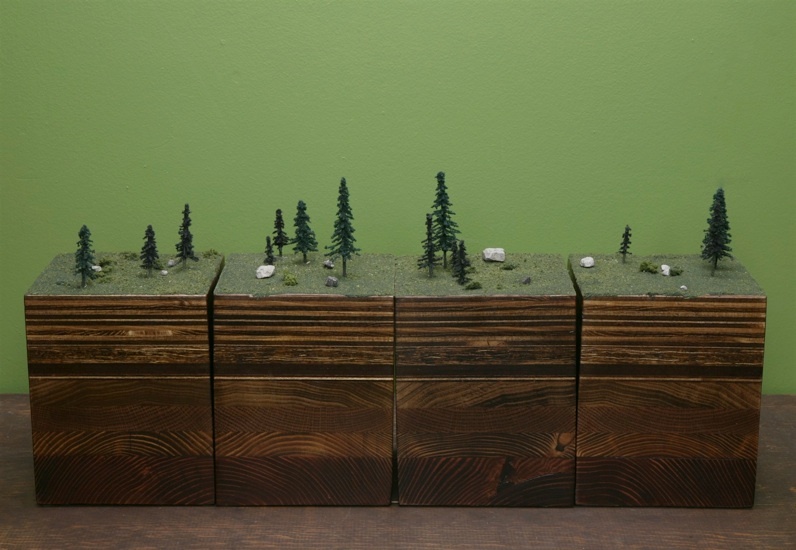 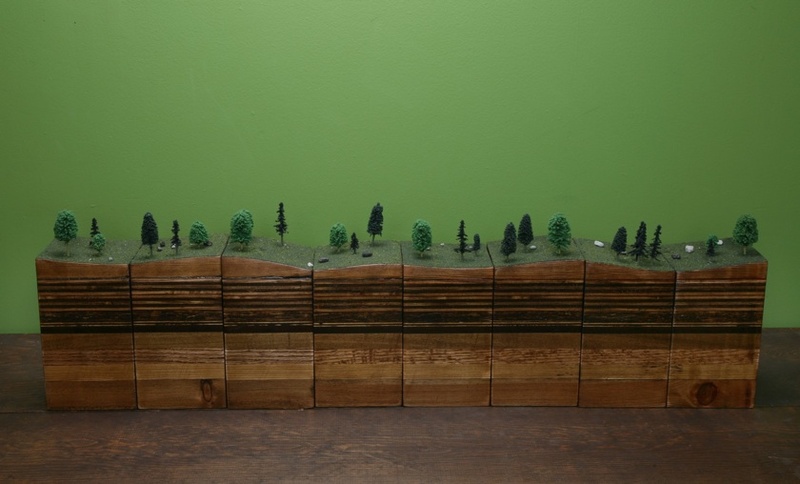 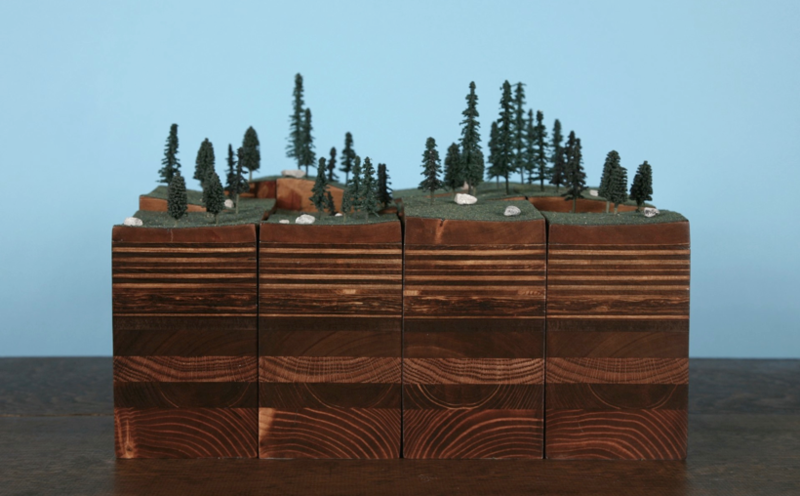 As a further play with the theme of scale, each set is cut from a larger landscape built by the artist. 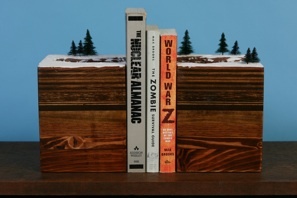 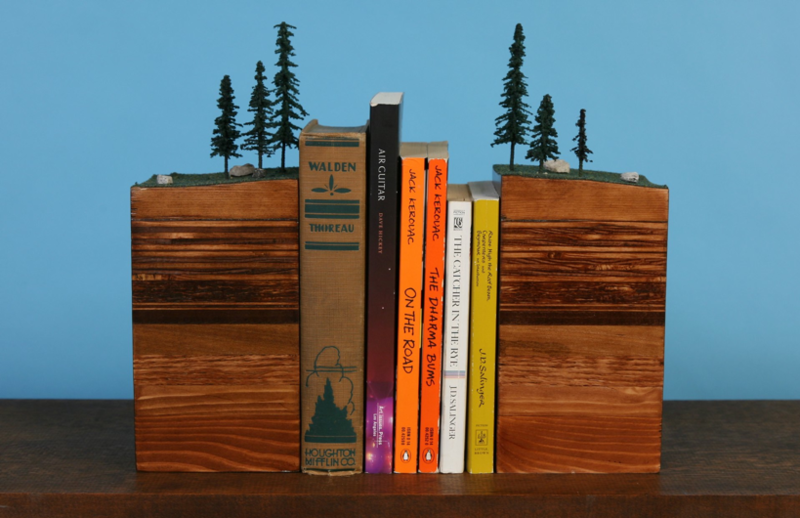 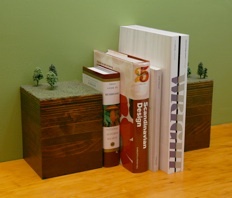 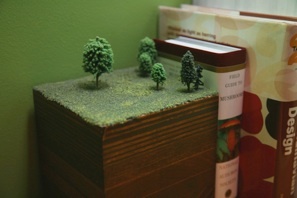 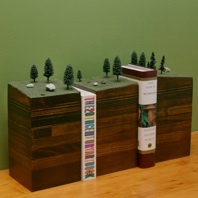 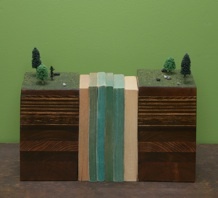 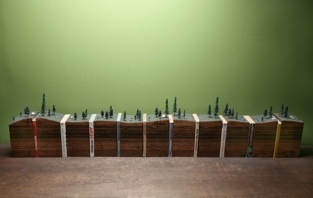 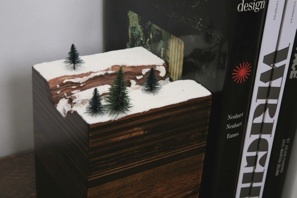 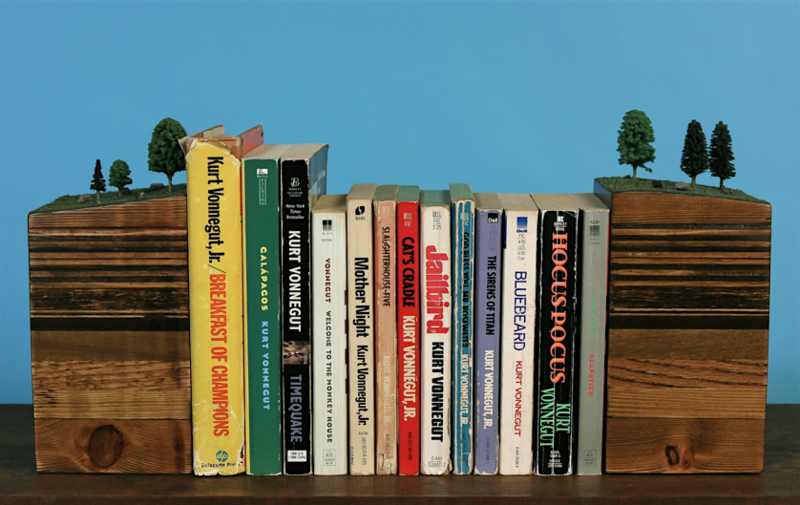 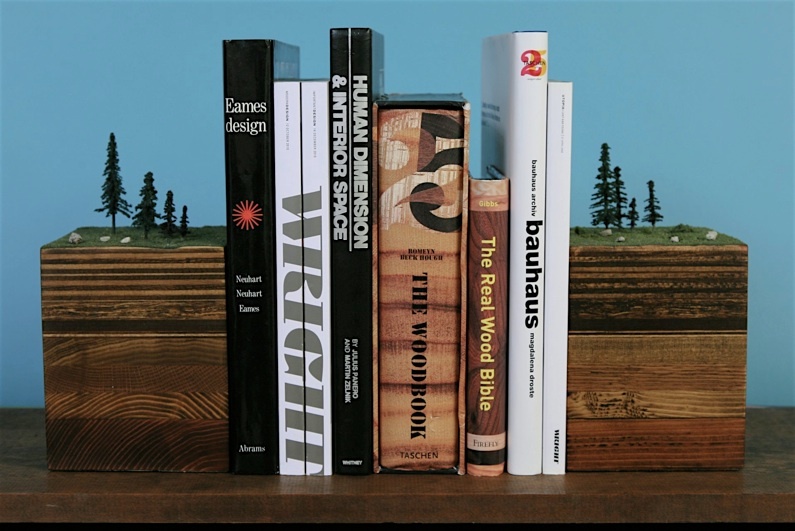 When displayed as bookends they make reference to the life cycle of a tree and its various uses. 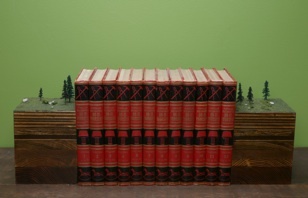 Each set is made by hand and unique with signature and number to the bottom.